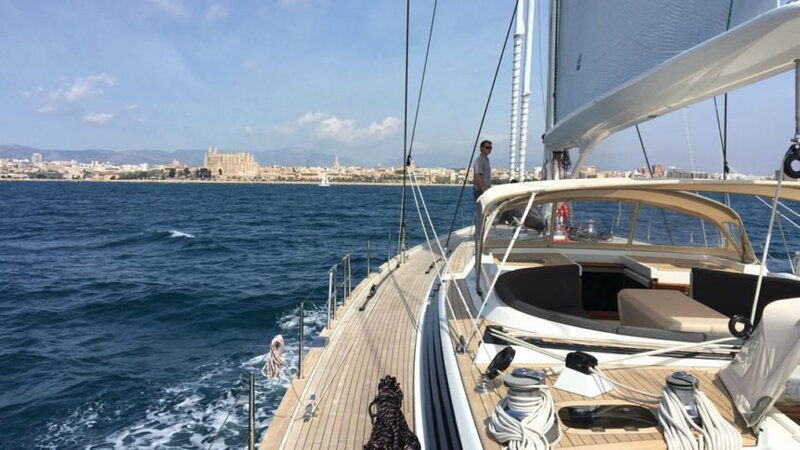 We had planned on leaving Palma on a Saturday, but we were tracking a storm boiling up off the African coast. The storm’s track had it moving on more or less our desired course to Turkey. We either had to wait until it passed (10 days) or leave early and try to stay ahead of the storm. We chose the latter. Was it the right decision? We’ll never know as the storm eventually overtook us, but in hindsight, I’m glad we chose to leave when we did. The bay of Palma is exposed to winds out of the southwest. As the storm passed, people we know in Palma said wind-driven waves were crashing over the sea wall, and conditions in the anchorages and marinas were difficult, with several boats breaking their moorings and boats in the marinas suffering damage. When in doubt, I’d rather be at sea. We left with winds in the 17-knot range and a barometer of 1009 and falling. The first four days were terrific sailing. The low pressure in the storm center was sucking the wind into it from an east-to-west direction, and we were headed southeast, giving us close-hauled sailing at 11.2 to 12.5 knots speed over ground. 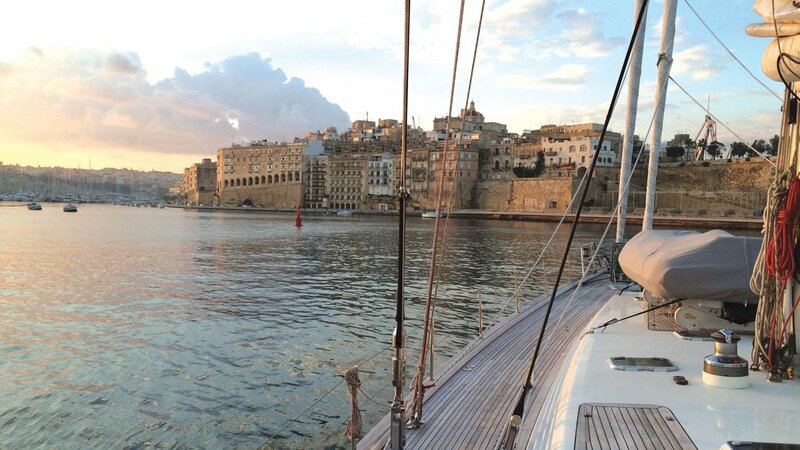 We actually had to slow down the boat so we would reach the island of Malta at first light on the third day. 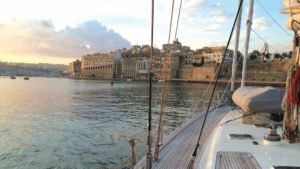 For those of you who haven’t been to Malta, it’s like sailing into ancient Rome. The old city is thousands of years old, and the buildings have been maintained. We only spent 20 hours in Malta. It’s a protected harbor, and we could have chosen to ride out the storm there, but we left at first light, trying to stay ahead of the storm. The storm track had it passing right over Malta in two days’ time before veering north. As the trip to Turkey was only four days and we had a two-day head start on the storm, we chose to go. Our decision was based on the storm veering north after passing Malta, whereas we were heading southeast. We figured we might get on the fringe of the storm as it passed north of us. Unfortunately, the storm did not veer north as predicted but intensified as it joined forces with a sirocco coming off the Arabian Peninsula. About 18 hours out of Malta, we could see the storm front behind us—ominous black clouds loaded with rain. We pulled down GRIB files and could see the storm wasn’t moving north. Beginning preparations at least 20 hours before the storm overtook us, we battened everything down above and belowdecks. 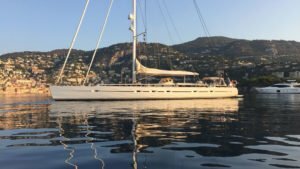 We put two reefs in the mainsail, one reef in the headsail and one reef in the staysail, then rolled it back up so it was ready. The temperature continued to drop as did the barometer, now down to 0999. The winds were blowing solid in the mid-20s with gusts in the high 20s. Advance preparation was key. When the storm overtook us, we were ready. Dark clouds catch up with us as the storm draws closer. The storm announced its arrival with rain, falling temperatures and a falling barometer. In the eye of the storm, the barometer read 0996, a drop of 13 millibars from Palma. Winds rose steadily, reaching 34 to 36 knots true with gusts in the high 30s. The highest gust clocked in at 41 knots across the deck, but we were ready. 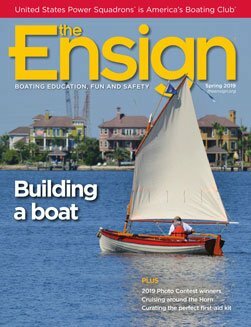 We rolled up the headsail and rolled out the reefed staysail. The boat balanced beautifully, and we were still clocking 10.5 knots speed over ground. Different than anything I had sailed in before, the seas ran 6 to 10 feet with an occasional 15-footer thrown in, but they were confused. I’ve sailed in much bigger waves, but they were always regular, so you could pick your way through. Here there was no path, you simply had to sail on and take the punishment. We were in sustained 34- to 36-knot winds and rain for a day and a half before the storm passed and the winds dropped back into the high 20s. On the backside of the storm, I experienced some of the best sailing I’ve ever done. The full moon was so bright it was almost like sailing in daylight. The storm had sucked all the cloud cover away, and the stars were bright beyond belief. 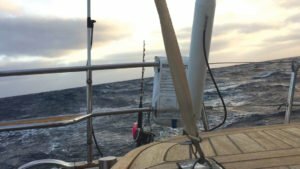 The wind was still in the low to mid-20s so we rolled out the headsail and shook out one of the reefs in the main and hit our highest speed of the trip. We had 13.6 knots speed over ground and could see the Greek island of Rhodes in the distance. Eighteen hours later we were entering the harbor in Marmaris, Turkey. Everyone was tired and salt-caked but satisfied with the choices we had made. Sailing long distances offshore is always about choices. Did we make the right choices? We’ll never know. But I do know that sailing in those winds and seas taught me a lot about my boat—a trial by fire, so to speak. I also know that I wouldn’t have missed that last day of sailing on the backside of the storm for anything. It was magical. In the end, I’m comfortable with the choices we made, and I guess that’s all anyone could ask for. Lifelong sailor Randy White has logged over 50,000 open ocean miles. He holds a European STCW-95 Commercial Certificate as an Able Bodied Seaman. 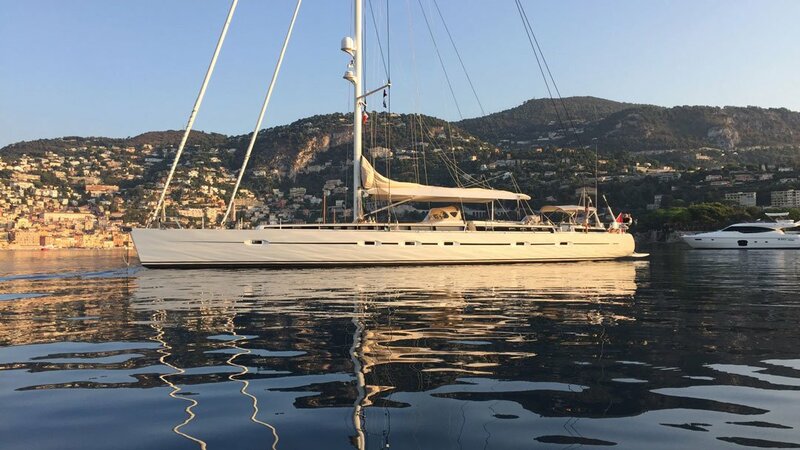 He and his wife, Lale, enjoy sailing aboard their 95-foot CNB sailing yacht, ­Savarona. Randy is past commander of San Luis Rey Sail & Power Squadron/28, and the founder and owner of SailAngle.com. His article was originally published in the squadron newsletter, The Mariners Needle.